Disclosure: This post is sponsored by NeoStrata. All words and opinions are mine. To me, a serum is a must in my skincare routine as I firmly believe it is the most effective and easiest way to achieve visible results. However, choosing a right kind of serum could be tricky and I seldom find something that satisfies all my skincare needs. 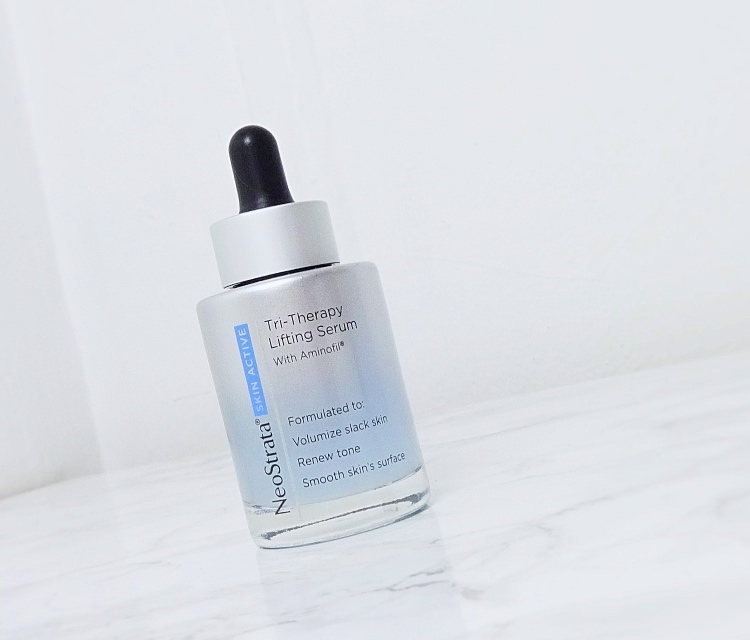 I was intrigued when I first heard about NeoStrata SKIN ACTIVE Tri-Therapy Lifting Serum which is formulated to volumize slack skin, renew skin tone, and smooth skin’s surface. This targets every skincare concern that I currently have. I love the fact that I can use the serum everyday both in the AM/PM regimens without having to worry about sensitizing my skin. 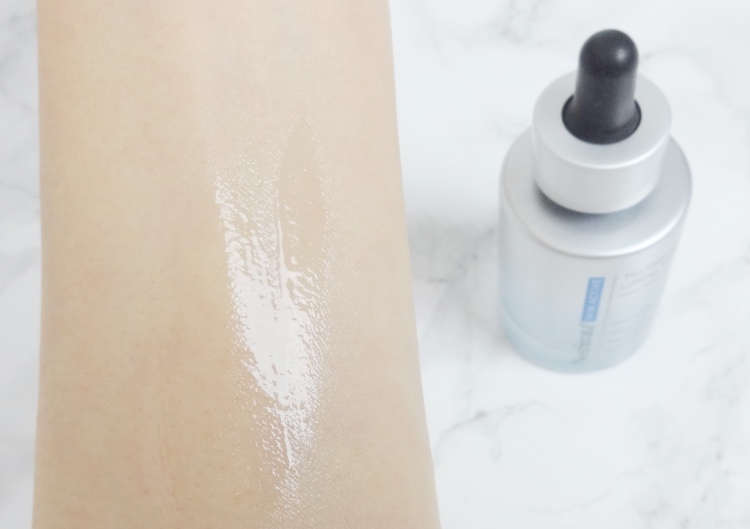 It’s been for about two weeks since I started using NeoStrata SKIN ACTIVE Tri-Therapy Lifting Serum, and what I’ve been seeing is quite positive and uplifting. 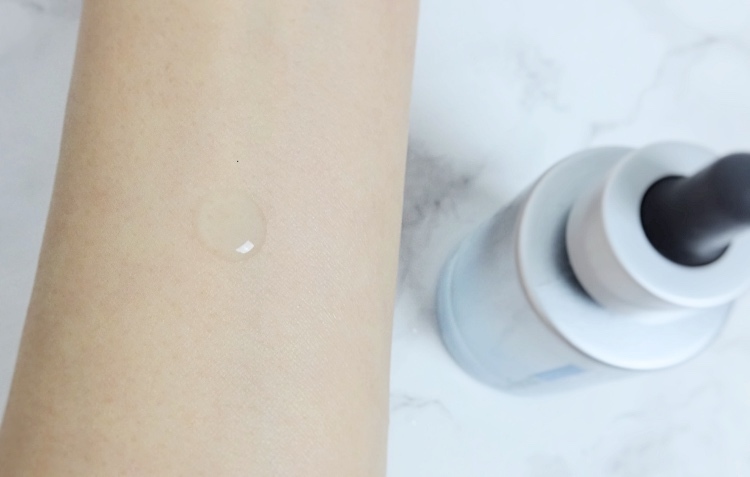 NeoStrata is famous for gentle yet effective exfoliating actives such as Gluconolactone (it’s a polyhydroxy acid (PHA) that offers all the benefits of AHAs but it is much gentle and suitable for sensitive skin), and SKIN ACTIVE Tri-Therapy isn’t an exception. Indeed, my skin has stayed smooth and trouble-free ever since. The patented Aminofil® is probably the most interesting active ingredient as it isn’t a mere binding agent but actually helps smooth the look of deep wrinkles and promote firmer and lifted appearance. 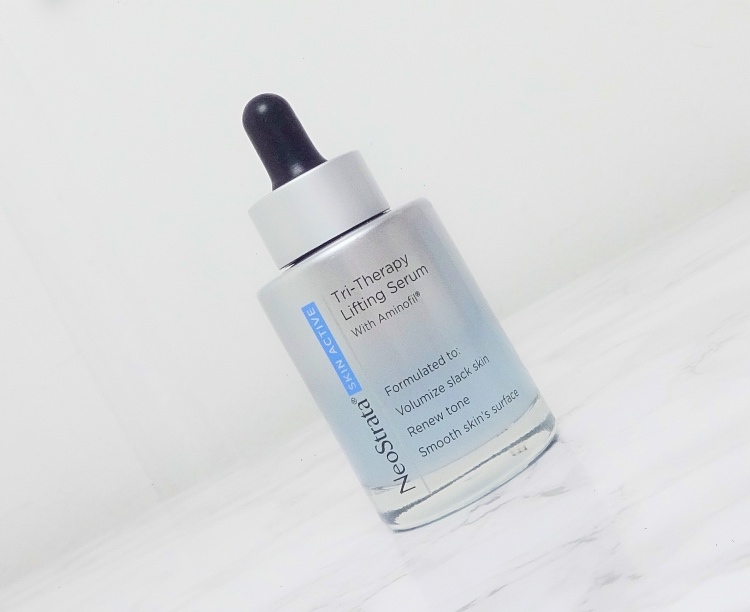 I was worried that this serum might feel tight and uncomfortable as some lifting serums could be, but I am happy to report that NeoStrata Tri-Therapy Lifting Serum feels amazing and even hydrating on its own, which I believe is thanks to the Low Molecular Weight (LMW) Hyaluronic Acid. 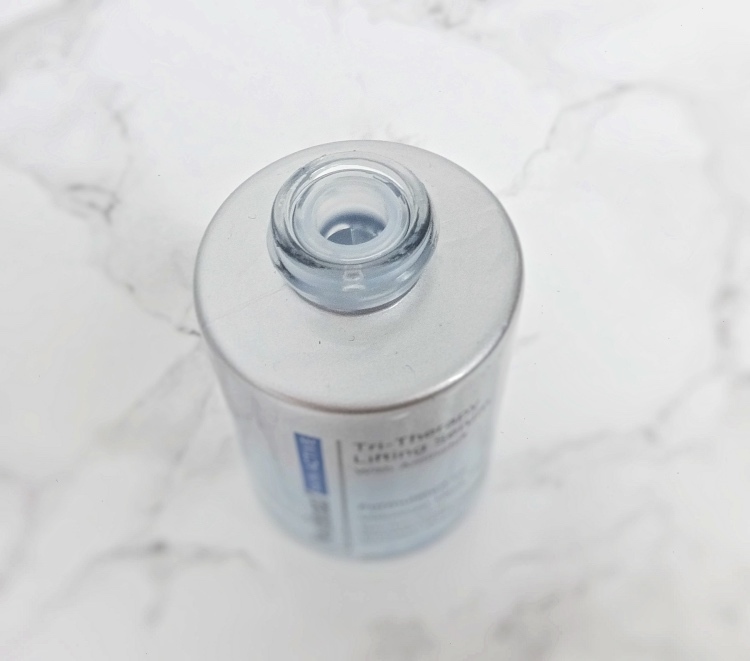 It comes in a clean and sturdy dropper bottle with an opaque surface, which is crucial for keeping serum’s integrity. I am impressed to see that there is a silicone ring inserted at the opening of the bottle to minimize oxidizing from everyday applications. NeoStrata Tri-Therapy Lifting Serum is lightly scented and has a medium weight with some viscosity. I use 3-5 drops each on my face and neck after cleansing in the morning and evening. I usually follow up with a simple moisturizer at night and my skin stays hydrated till morning. The serum provides a beautiful base under makeup as well. 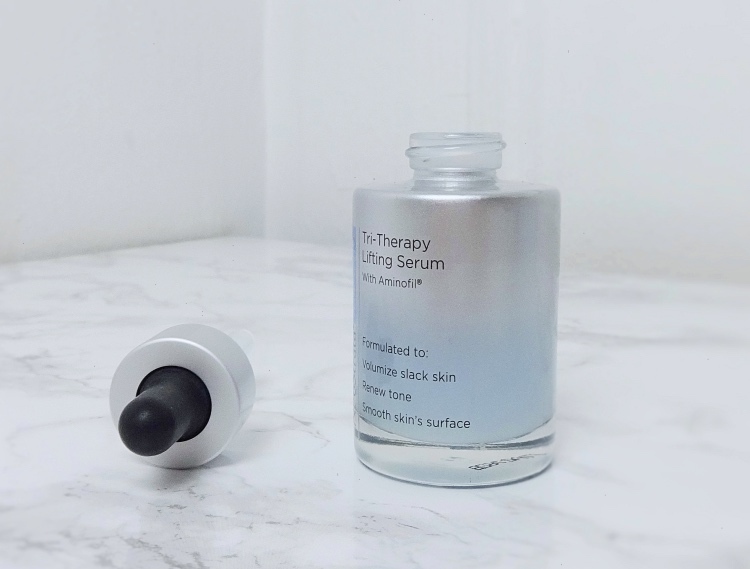 SKIN ACTIVE Tri-Therapy Lifting Serum seems to be a perfect winter time serum that is moisturizing yet combats multiple signs of aging. It is also a big plus that this serum is non-irritating, oil free, paraben free formulation that doesn’t interfere with my existing routine. I am encouraged by the positive qualities I’ve been experiencing so far that I plan to continue using it. 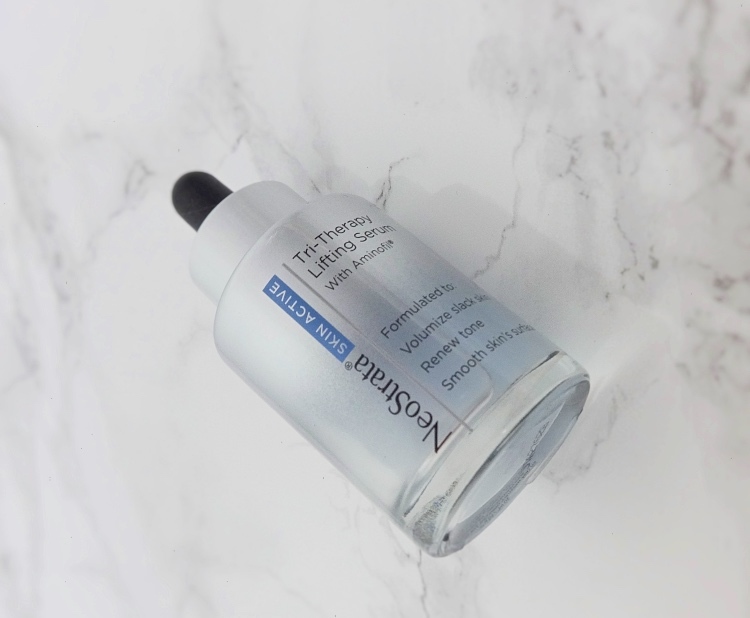 Have you tried NeoStrata SKIN ACTIVE Tri-Therapy Lifting Serum? Disclosure: This is a sponsored post written by me on behalf of NeoStrata SKIN ACTIVE Tri-Therapy Lifting Serum. I totally agree that a serum is a skincare must because it's the easiest way to get targeted results. This one sounds really lovely and it's good to hear that it's been working well in your routine as well as on your skin. I'm still working my skincare stash so it will be awhile before I buy any new serums. Hi, Rowena! :D I will keep using this and see how well it helps firm the skin. There are many effective ones for exfoliation but I haven't seen something that is supposed to firm and lift as well. I like that it feels nice on an not irritating, too. Oh this sounds great for brightening skin! I'm intrigued by the volumizing effects too. I've been looking for a great new serum too and this sounds good! I agree have to have a serum. And even more so once you are out of your 20's. This one sounds excellent. I just got one from Korrs but when that is done I want to check this out. And is that your cat in your IG feed? Looks just my cat Sophie!